Reading the history books, you will find out one interesting thing: humankind and Amazing Bridges, have had a long history. Back then, bridges were either built to connect people, or set a boundary. In today’s modern world, bridges are made to connect continents, make travelling faster and more convenient. Other bridges are also known more for their histories and the cultural interest they inspire. If you look at the more modern bridges that were recently built, you will notice that these bridges symbolises our world’s advancement in technology and design. 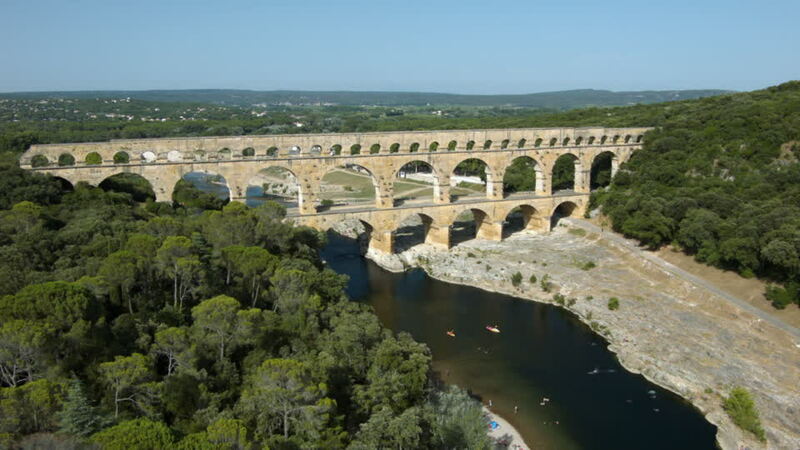 These bridges are also a testament to how far our modern-day architects and engineers have come. As a nod to history and to our modern-day architects and engineers, we have decided to make a list of the top 10 most impressive and amazing bridges from around the world. This list includes both historic and modern bridges, of course. The Brooklyn Bridge is one of the most prominent sights in New York City as well as an engineering marvel with a fascinating history. It spans over the East River, linking Manhattan and Brooklyn. With massive masonry towers and a web of cables, this suspension bridge is instantly recognisable even to many who have never been to New York. Source. Moreover, archaeologists also uncovered evidence of how well organised the project was. They found numbering on the stones, points of support for scaffolding, and evidence of the use of hoists. Source. 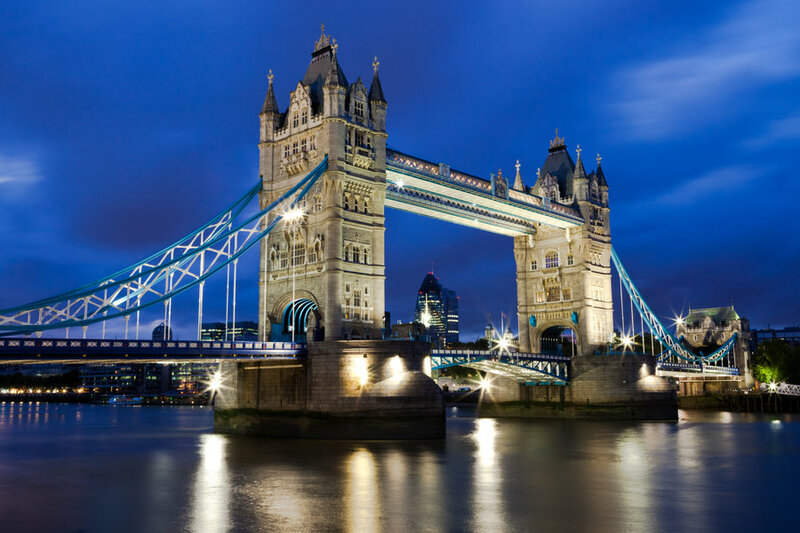 When it was built, Tower Bridge was the largest and most sophisticated bascule bridge ever completed (“bascule” comes from the French for “see-saw”). These bascules were operated by hydraulics, using steam to power the enormous pumping engines. The energy created was stored in six massive accumulators, as soon as power was required to lift the Bridge, it was always readily available. The accumulators fed the driving engines, which drove the bascules up and down. Despite the complexity of the system, the bascules only took about a minute to raise to their maximum angle of 86 degrees. Source. Nanpu Bridge is the first bridge to cross the Huangpu River from central Shanghai, linking it with the Pudong district across the river. The bridge and its spiral approaches are a major connection across the river and between Zhongshan South Road and Lu Jiabing Road. 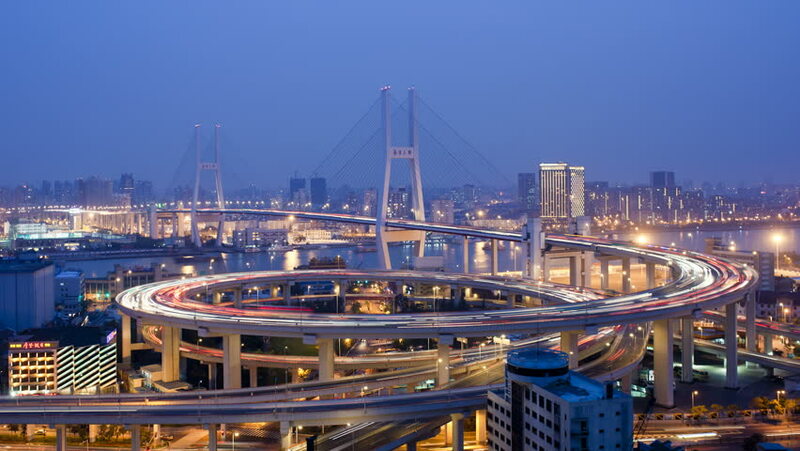 Nanpu Bridge is a major contributor to the ongoing and rapid development of the Pudong District. The bridge’s special design and location also make it an attraction for locals and travelers, even more spectacular by night. Source. The Akashi Kaikyo Bridge is, with a length of almost four kilometers, the world’s longest suspension bridge. 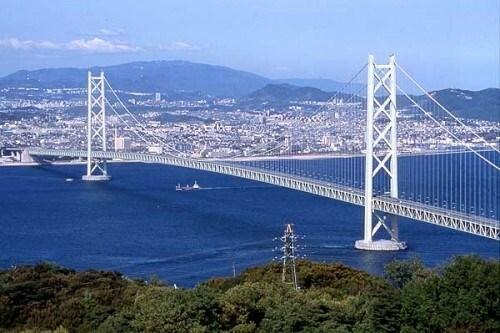 Opened in 1998, it spans the Akashi Strait (Akashi Kaikyo) between Kobe and Awaji Island and is part of the Kobe-Awaji-Naruto Expressway, one of three expressways which connect Honshu with Shikoku. Source. 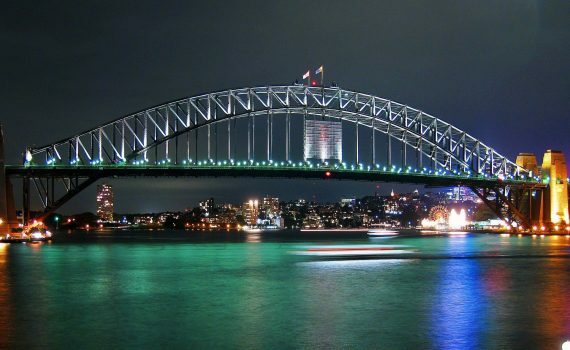 Instantly recognisable, the Sydney Harbour Bridge is the world’s tallest steel arch bridge, connecting the northern suburbs of Sydney with the city centre. It is also a vital link in Sydney’s transport infrastructure, with more than 200,000 cars travelling its length each day. There are many ways to experience this iconic landmark. 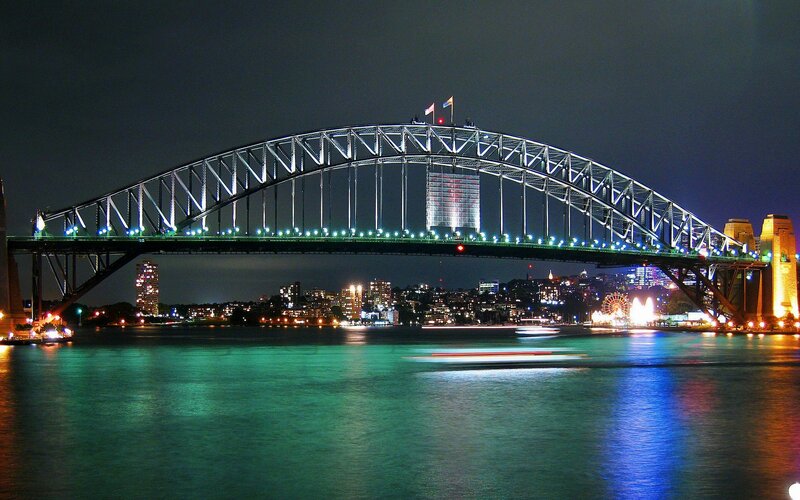 One of the most popular is with Bridge Climb Sydney, which has been running since 1998. Learn about the fascinating history of the bridge and its place in the city as you make the exhilarating climb to the top. The open vista provides and an unforgettable experience, and the scope of the view is spectacular. Source. Tsing Ma Bridge is a bridge in Hong Kong. It is the world’s ninth-longest span suspension bridge, and was the second longest at time of completion. The bridge was named after two of the islands at its ends, namely Tsing Yi and Ma Wan. Source. There were over 150 entries. 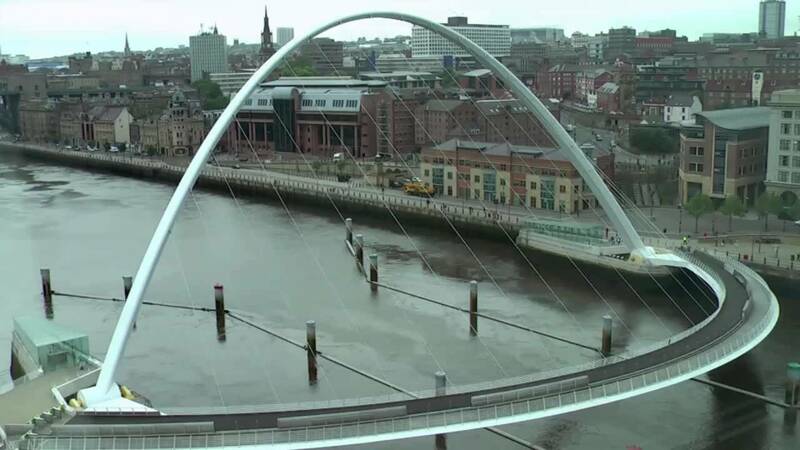 Gateshead residents voted for their favourite design from a shortlist of leading architectural companies. The winning design by Wilkinson Eyre Architects and Gifford & Partners met the criteria perfectly. Everyone knew this design was exceptional. Source. 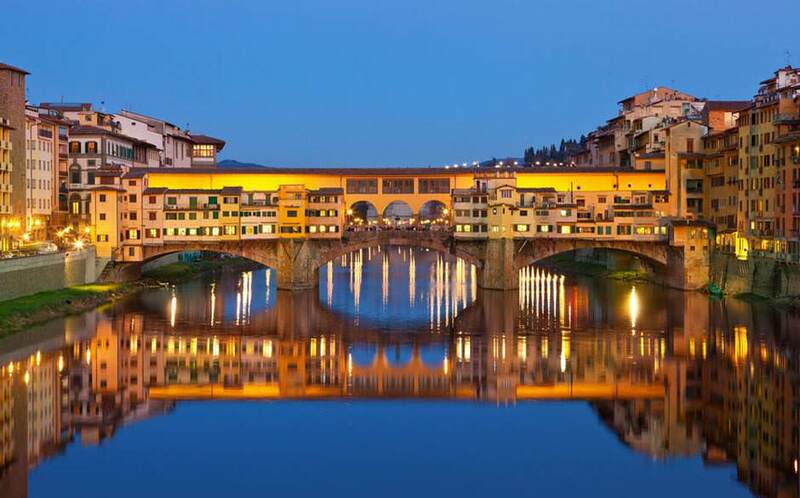 The Ponte Vecchio is a Medieval stone closed-spandrel segmental arch bridge over the Arno River, in Florence, Italy, noted for still having shops built along it, as was once common. Source. Once called “the bridge that couldn’t be built,” today it is one the seven wonders of the modern world. This magnificent span, perhaps San Francisco’s most famous landmark, opened in 1937 after a four-year struggle against relentless winds, fog, rock and treacherous tides. Crossing the strait of the Golden Gate from San Francisco to the Marin headlands for 1.7 miles is the world-renowned Golden Gate Bridge, easily identified by its International Orange colour. Opened in 1937, the bridge was built at a cost of $35 million in principal and $39 million in interest and 11 workers’ lives. The single-suspension span is anchored by twin towers that reach skyward 746 feet, and was once taller than any building in San Francisco. To support the suspended roadway, two cables, each more than 7,000 feet in length and both containing 80,000 miles of wire stretch over the top of the towers and are rooted in concrete anchorages on shore. 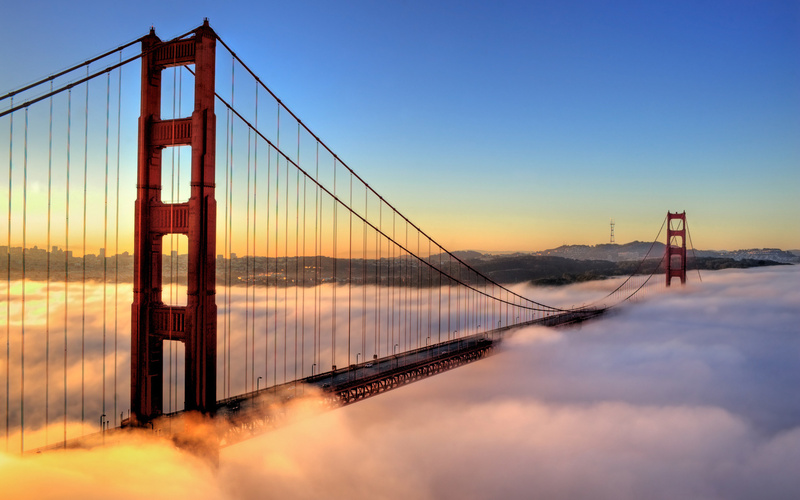 More than 10 years in planning due to formidable opposition, but only four years in actual construction, the Golden Gate Bridge brought the communities of San Francisco and Marin counties closer together. Source.